In an age when the only constant is rapid change, it is almost incomprehensible to find somewhere that dates back at least 900 years, and which has now been almost unchanged for over 300 of those years. Traquair House is the oldest continuously inhabited house in Scotland. 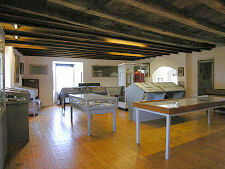 It has stood here since at least 1107, when Alexander I of Scotland signed a royal charter at Traquair. This was only 41 years after the Normans had defeated the English at the Battle of Hastings. Still more incredibly, the Traquair House you see today would have been just about recognisable to Alexander I. As originally constructed it comprised a tower house, in effect the left hand half of the building as shown in the header image minus the upper storey. 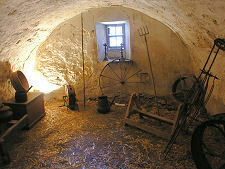 It spent most of its early life as a royal palace and hunting lodge and was a regular retreat of Scottish Kings. In 1176 William I signed a charter at what was known as the Palace of Traquair founding a burgh that had a right to hold a market every Thursday. That burgh later became the City of Glasgow. During the Wars of Independence of the late 1200s and early 1300s Traquair served as part of the network of tower houses built along the River Tweed in a vain effort to bring a degree of stability to Scotland's border lands. During this period both Edward I and Edward II of England stayed at the house. James III came to the Scottish throne as a child in 1460. 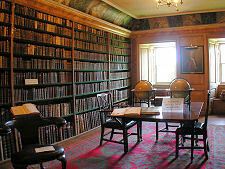 He later gave Traquair away, first to a friend, Robert Lord Boyd, and later to a court musician, William Rogers. Rogers owned Traquair for just nine years before selling it to the Earl of Buchan for the sum of 70 Scots merks, equivalent to £3.75. The Earl of Buchan, who was a half uncle to James III, then gave Traquair to his second son James Stewart. 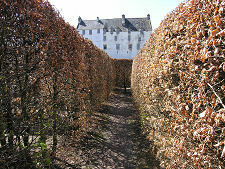 James became the first Lord of Traquair in 1491 after James IV had succeeded to the throne. 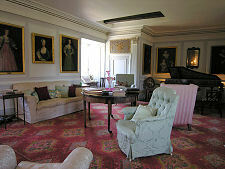 Since 1491 Traquair has remained in the ownership of the same family. The first Lord of Traquair met his end at the Battle of Flodden in 1513 (along with James IV and most of the rest of Scotland's nobility). The 4th Lord of Traquair, John Stewart, was Captain of the Queen's bodyguard, protecting Mary Queen of Scots. In late 1466 Mary, her husband Lord Darnley, and the baby James (later James VI of Scotland and I of England) stayed at Traquair. 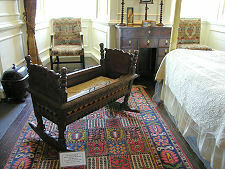 The cradle in which Mary rocked James remains on view in the King's Room. In the second half of the 1500s Traquair was significantly enlarged. The existing tower was extended to the south east. Then in the early 1600s the 7th Lord of Traquair added the top storey to the house and changed the arrangement of many of the windows. He also changed the course of the River Tweed: Traquair had stood near the outside of a bend in the river, leaving it in danger of being undercut. The Tweed has since flowed rather further to the north. 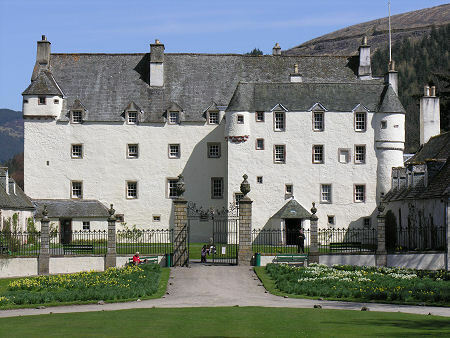 In 1695, Traquair house as you see it today was completed with the addition of the two side wings, the courtyard and the railing at the front, and the terraces at the rear. Its subsequent unchanged survival is remarkable. In large measure this was due to the problems the family had as Catholics and as Jacobites through the 1700s, a period during which most other great houses in Scotland were being changed beyond recognition. The 4th Earl of Traquair was imprisoned in Edinburgh Castle in the early 1700s as a Jacobite sympathiser and the family were involved in the cause during the 1715 uprising. 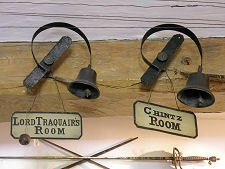 The 5th Earl welcomed Prince Charles Edward Stuart to Traquair during the 1745 Jacobite uprising. After the Prince's departure the Bear Gates at the head of the main drive from the house were closed, the Earl vowing that they would not be reopened until a Stuart king was crowned in London. The gates remain closed to this day. 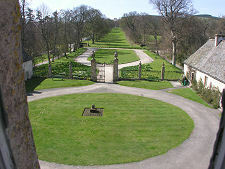 Traquair was an estate in decline through the end of the 1700s and much of the 1800s. The Earldom of Traquair died out in 1875 for want of a male heir, but the older title of Lord of Traquair lived on. Henry Constable Maxwell Stuart became the 17th Lord of Traquair in 1889. Frank Maxwell Stuart became the 19th Lord of Traquair at the start of the Second World War, and in 1953 he opened Traquair to the public for the first time. 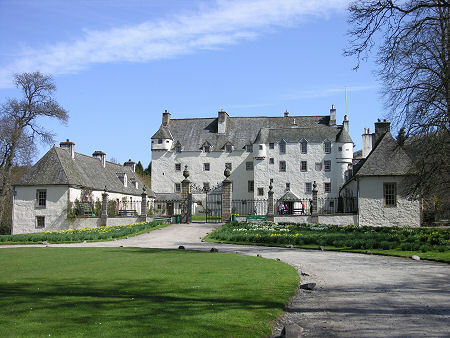 Today's Traquair is the family home of Catherine, 21st Lady of Traquair, her husband and their three children. 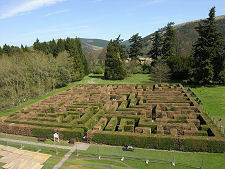 A visit to Traquair is a remarkable experience. 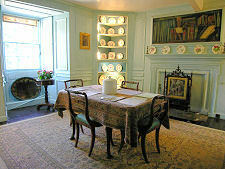 Much of the house is on view, including a museum complete with very early wall decorations. 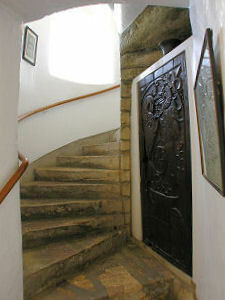 Highlights include the Library and the King's Room, while the cellar corridor gives access to a series of cellar rooms that would originally have housed livestock. Traquair is a house that, despite a very long and eventful history, can lay claim to no ghosts: so a spooky cellar has been established to compensate. 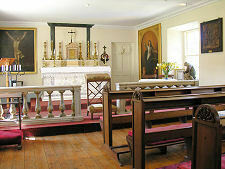 The north west wing is home to a lovely chapel, established after Catholic worship could once again take place legally in Scotland from 1829. 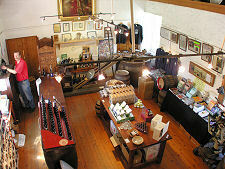 Next door is the brewery shop and beyond it the gift show. The lower floor of the wing is occupied by Traquair Brewery, founded in 1965 and now producing up to 700 barrels of beer per year. 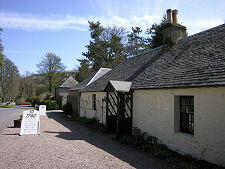 Between the parking area and the main house, visitors will have passed the The 1745 Cottage Restaurant and the craft workshops. Around the back of the house is a wonderful maze. This was planted in 1981 and reaching the centre entails a quarter of a mile walk via four sub centres.